IPL 2019 will begin with a clash between Royal Challengers Bangalore and Chennai Super Kings. RCB and CSK are two of the most widely followed teams in the league; the two grand franchises are led by the two of the most popular figures in world cricket - Virat Kohli and MS Dhoni. CSK are the joint most successful franchise in IPL history, having won the title three times. The defending champions are always one of the favourites for the tournament. CSK also have a great record over RCB, as they have won 14 of the 22 meetings between the two franchises. With the home crowd backing them, the MS Dhoni-led team would be hoping to make a perfect start to the tournament. On the other hand, RCB would be hoping to get it right this time around for a change. The Bangalore-based team don't have any shortage of firepower, and they can beat anyone on their day. Let us look at three reasons why RCB can beat CSK in the IPL season 12 opener. Virat Kohli is one of the greatest batsmen to have played the game. When you have someone like Kohli in the team, half the battle is won. Considering the talent of the man, it is surprising that he has never won an IPL title in his career. But he would be hoping to correct that this time around. The presence of Kohli in the opposition team is enough to give headaches to any team. 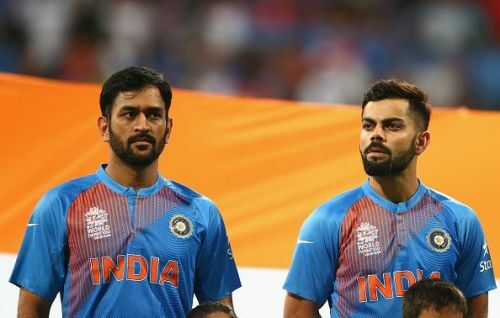 CSK captain MS Dhoni is smart enough to understand that if they don't get Kohli early, it might be very difficult to get a foothold in the match. While Dhoni is a master tactician, all tactics go out of the window when Kohli is in full flow. If Kohli is in the mood he can win the match single-handedly for his team. RCB and their fans would be hoping that their captain can deliver a great performance against CSK.